The VR industry is grappling with a serious chicken or egg question: what will open the market, accessible hardware or killer content? uSens, a Silicon Valley-based VR company, thinks that this question is looking in the wrong direction. “People keep complaining about the lack of content in the VR space. However, the real problem is the HMD (head mounted device). It is not good enough because it doesn’t provide natural HCI for developers to create intuitive content and they cannot think about any good use of HMD,” Dr. Eunseok Park, General Manager at uSens told TechNode. Dr. Park previously served as a researcher and overseas R&D director for five years at Samsung, and will now help uSens expand within Silicon Valley market. 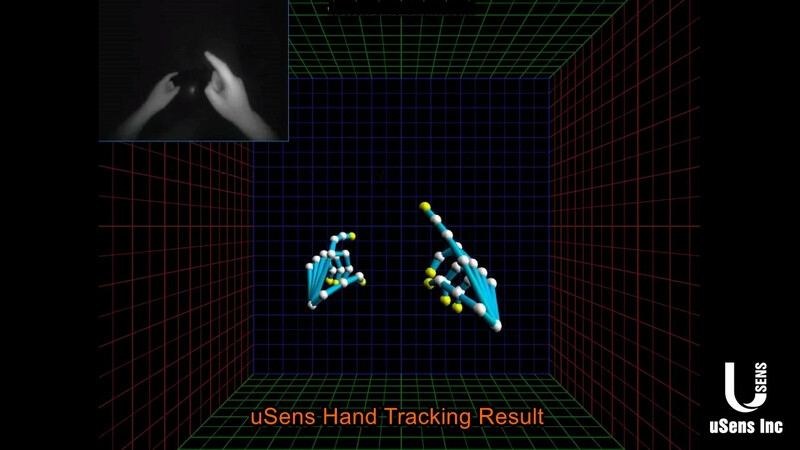 uSens, a provider of hand-and-head tracking technologies for augmented and virtual Reality, announced last week that its technology is now compatible with the Epson’s AR smart glasses. Epson Moverio BT-300 Developer Edition augmented reality smart glasses can add uSens hand-tracking capability through a uSens Fingo module connected via USB cable. “HMDs should be equipped with hand-and head tracking technology. We can contribute in this VR world with our head position tracking and hand tracking sensors, and VR companies can think about more use case and content,” Dr. Park added. 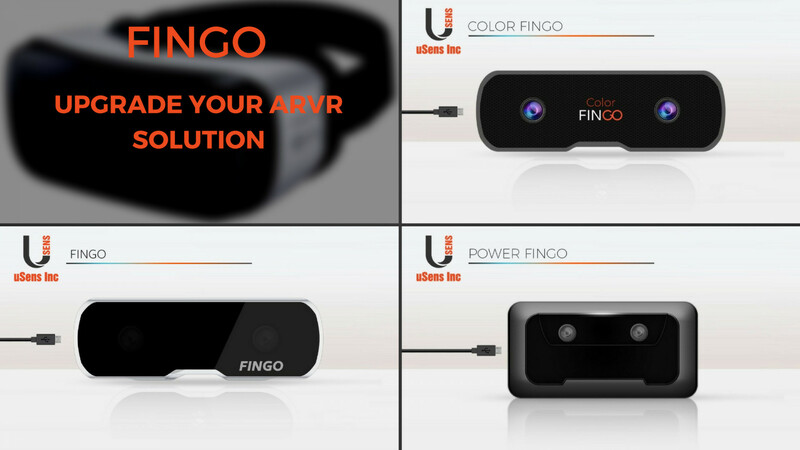 Last year, uSens revealed Fingo, a 100 USD hand tracking module for VR and AR headsets. With Fingo, VR and AR headset companies can equip their headset with hand-and-head tracking technology without having to hire technology lead. As a new General Manager, Dr. Park said that he will focus on two things: to improve core technology of uSens and to facilitate AR and VR developers to work with their solution. “We are about to release a developer kit in this year. And I also focus on finding partners for our solution. We are now discussing with several HMD companies to put our solution into their HMD device,” Dr. Park added. Although investment in VR is expected to slow down in 2017 compared to 2016, VR applications will continue to develop. Besides the fact that China boasts a massive size of VR market, Chinese VR market has its own particular aspects: a rapidly growing VR arcade market and a great diversity of low-end headsets. VR arcades are out-of-home entertainment that offers monetization opportunities. Because the high-end, PC-based VR experiences are not so accessible for most people in China, VR arcades provide the average consumer with curated VR content above the average level. Another interesting thing about Chinese VR is that there are a lot of low-end headsets. There are over 100 types of VR headsets in China, with most of these on the lower end, comparable to Google Cardboard. Early leading HMD manufacturers include 3Glasses, DeePoon, and Baofeng Mojing. uSens is poised to capitalize on both these trends. Selected as the best technology startup at TechNode’s 2016 China Bang, uSens focuses on creating VR tracking solution for VR headsets, not the headsets themselves. Most Valley startups wait until their home market is stable, but not uSens. They entered the China market soon after they were founded in 2014. “The reason why we focused on China is because we are not a headset manufacturing company but a VR tracking technology company. Our goal is to implement our tracking sensors on as many headsets as possible,” said Jan Olaf Gaudestad, head of Business Development. Because uSens wants to be the industry standard, China is a very attractive market since China’s VR market is quickly outpacing that of the US. “Although we usually think that US is the home for VR with leading companies such as Oculus and Leap Motion, those high-end headsets are not widely distributed to the public. On the other hand, in China, the absolute number of headsets purchased is much higher. A lot of households own low-end, cheap headsets. Our target is those low-end, cheap ones which desperately need our technology to improve the user experience,” Jan emphasized. According to a report on VR user behavior in China by Baofeng Mojing in early 2016, the number of Chinese people that had used a VR headset at least once is over 17 million, the number of people who had bought VR headset is over 960,000, and the number of potential users is over 286 million, about one-fifth of the Chinese population. There are so many headset companies because there are a lot of manufacturers in Shenzhen where OEMs make VR headsets. Since the strength of Chinese VR companies lies on price competitiveness rather than the level of technology, most of them have chosen to focus on mobile VR. MJ Kim contributed to parts of this post.